Holywood Yacht Club is a Recognised Teaching Centre (RTC). As such it is permitted to run RYA Courses using qualified RYA Instructors and standards are maintained by regular inspections. Qualifications gained on RYA courses are widely recognised. The Club welcomes new members of all ages and is well known for being family-friendly and down-to-earth. Throughout the year members organise an entertainments programme which centres around the club-house bar and hall with their fabulous views over Belfast Lough. Events have included barbecues, lectures, live music and quiz nights. Everyone is welcome. The club has an active training and sailing program providing sailing instruction for about 100 local children and 30 adults every year with on going class specific training for other members. Powerboat, VHF, First-Aid and Sailing Instructor courses are also run on an ad-hoc basis and are open to non-members. GSC also offers St David's Secondary School transition year students introductory Sailing courses. 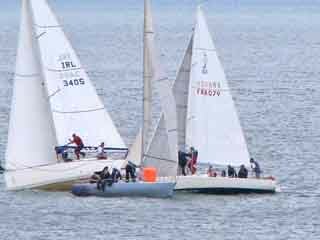 Greystones Sailing Club has played host to a number of prestigious sailing events at International, National and Regional levels. It has organised and run Championship events for the Mirror, Enterprise, GP14 and Wayfarer classes. Greystones has been at the forefront of modern dinghy racing, introducing the RS dinghy classes into Ireland and for three of the last five years, hosting one leg of the internationally renowned RS Eurocup circuit. East Belfast Yacht Club was founded by workers from the Belfast Shipyards in 1904, and has enjoyed both the high and the low years through its existence. From the high points through the 1920s/30s/40s and '50s when the Club hosted many sailing races and entertained the owners and masters of the massive J-Class yachts down to the more plentiful and massively supported Belfast Lough one designs through to the Flying Fifteens and Dragons and others of the various periods. The Club was previously situated at the head of Belfast Lough near the now defunct oil refinery on the South shore but has been based on the present site in Sydenham Embayment between The Belfast City Airport and Victoria Park since 1939. More recent activities have been more towards the Cruising side of Yachting with boats being built and refurbished at our base at Sydenham Embayment and used to cruise the Inland Loughs, the Irish Sea, The Med and indeed through Europe and across to the America's. We have become established as the main non professional producer and knowledge base for boats built from Ferro-cement in Ireland, and have had visitors from many countries in Europe who wished to avail of our knowledge on the subject. A past Member and his good lady were the first to introduce the method to Sydenham around 1970 and through a system of trial and error and the study of other builders down through the years we have had boats built by our members using just about every method known. Current build numbers are somewhere in the 30s, some of which have been own designs and some modifications of existing designs. As a Club we have always been proud of our working class roots and welcome prospective new members who wish to pursue their dreams of building from scratch or renovating existing hulls, be they Ferro, Wood, Steel or GRP. We are now more associated with 'traditional' type boats and building rather than the modern GRP types, although we have members also experienced in this type of construction. Down Cruising Club is a small, friendly club of approximately 100 members, who are interested in all aspects of boating and cruising on Strangford Lough. The club is fortunate to be based at Ballydorn, on Strangford Lough, and to enjoy the unique facility of club headquarters in the form of the lightship "Petrel". A short history of the club and of the Lightship can be accessed. In addition the club enjoys the facility of Ballydorn Quay, constructed in the mid 19th century, and its associated historic quayside store, the 'Black Shed'. 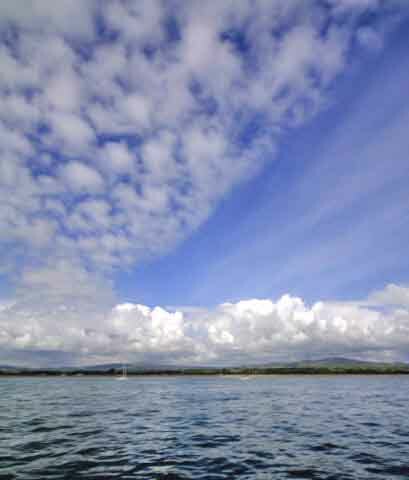 Club members participate in a wide range of social events on board "Petrel", and water-based activities, including cruises both within and beyond Strangford Lough. An important feature of membership of the club is maintenance of the lightship itself, through regular work parties. The general ethos of 'hands-on' involvement transfers to all activities, and to regular duties in assisting the club's bar. Bray is a seaside resort a few miles South of Dublin. The sailing club overlooks the harbour, which is at the North end of the promenade. 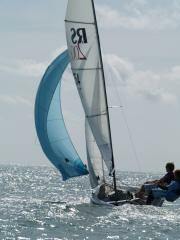 We cater for both cruisers and dinghies, with a full program of racing. The tide influences most of our activities, for the harbour dries at low water. The club is more than a hundred years old, and many former members have earned national and international reputations.